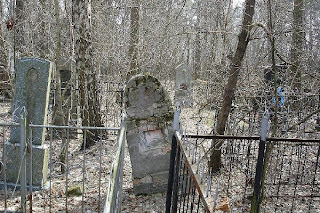 First, do apologize to my readers, but I have been on a three week sebatical to catch my breath, and map out strategy for this blog, and the Dead Baby World Tour...am only human here, and my battery was running very low. 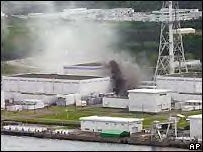 The tragic events surrounding the horrific aftermath of Japan's 6.8 on the richter scale earthquake show us just how fragile and vulnerable nuclear reactors really are. It is only by God's grace that the damage done to Tokyo Electric Power's nuclear reactors was not far worse. As it is, this fleet of seven reactor built on a earthquake fault line (much like Entergy's Indian Point) should be permenantly shut down and decommissioned. The Japanese government, much like the NRC, and Tokyo Electric Power (much like Entergy) tried to hide the significance of the problems from the public, have shown they cannot be trusted. To save lives, to save the world's youth the time has come to shut down these problematic and unsafe reactors. This is how they were posed before being NUKED. As we move ever closer to getting this project up and running in a big way, it will be shown publicly we are hoping this coming week at the Indian Point relicensing meeting, there has been some slack about the theme. People find it harsh, in your face, our accusations of nuclear energy amounting to an abortion machine akin to feat mongering. Others wonder where we came up with the idea for the Indian Point Dead Baby World Tour. 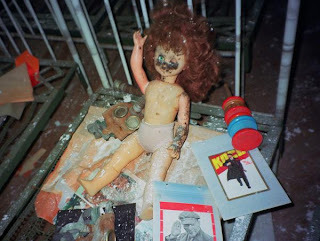 There are several reasons to have settled on this theme, including Elena incredibly heart wrenching photographs of the fallout area in and around Chernobyl, and the abandoned dolls she has come across in her travels. 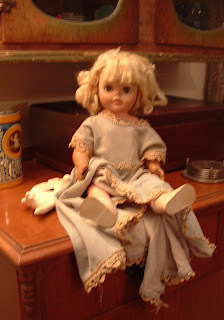 Another crucial reason for the Nuclear Dead Baby, is that dolls have been a part of the horror that is nuclear from the very beginning of the supposed Friendly Atom. 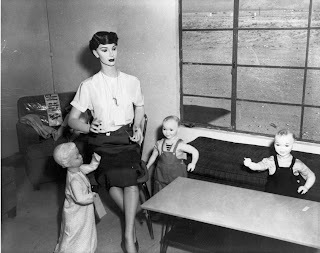 If you research old photographs from the various and assorted atomic tests in the name of military/commercial atomic energy, research the Friendly Atom, you'll find dolls were a routine participant in those early days. Their gruesome poses, haunting expression adding a surreal reality to the message that nuclear kills. 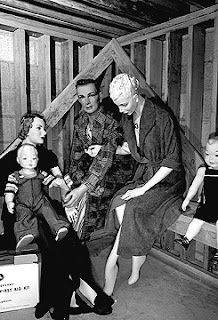 As our campaign moves along, we'll share many of these photographs with our readers, but tonight, thought I would share a peek into the dolls long involvement in the Nuclear Industry, by introducing you to Priscilla and some of the members of her family who were forced, like many of our soldiers to endure nuclear bomb testing under the guise of the Friendly Atom and CHEAP ELECTRICITY. The hour is late, and these old bones are growing weary, but we have work that must be done, so about to head off to the second day of the annual Clearwater Festival over in Croton on The Hudson. We had a good day yesterday, collecting a significant number of signatures for various petitions and actions we have going. So, sore and weary, we push our limits, reach down to find that well spring of adrenilin needed to move the ball further down the field in our efforts to close one aging, failing reactor. Before I leave though, I offer up one fund raising idea, in the hopes that many who read this blog will embrace it, own it by passing it on. We need money to hire experts, to retain attorneys to keep up the good fight, and I am hoping to find those funds one reader, one person at a time. Background: Indian Point Nuclear Plant is located just 24-miles from New York City, 3 miles from West Point. It is the only nuclear plant in the country surrounded by 21 million people. There is no possible evacuation plan for the area. Indian Point is aging, corroding and leaking radioactive waste into the groundwater and the Hudson River. Entergy, the owner/operator of Indian Point, now wants to squeeze every dollar of profit out of this aging plant and has filed an application to keep it operating 20 years beyond its expiration in 2013 for Indian Point 2 and 2015 for Indian Point 3. Instead of protecting the public health and safety, the NRC protects the profits of the nuclear industry. CURRENT SITUATION: Green Nuclear Butterfly is a grassroots alliance that is working on legal grounds which could prevent the granting of new licenses for Indian Point's two deteriorating and dangerous nuclear reactors. We need your help because we only have a small window to challenge the license application and we need to be able to pay for, office expenses, expert witnesses and legal fees. PLEASE JUST DONATE $1 (or whatever you can give) to help us win this battle. Please memo your check "LEGAL FUND" and send it to Green Nuclear Butterfly c/o Sherwood Martinelli, 351 Dyckman Street, Peekskill, New York 10566. Share this letter with/article with your friends and family, help us activate the populace. If every man, woman and child were to send us just one dollar, we have a real shot at successfully halting the relicensing of this facility. So, the world wants to see a Nuclear Renaissance, believes that nuclear energy is the safe, vital, secure, and Green Energy Source that is going to save us from Global Warming, and give birth to the Hydrogen Economy. The young green hipsters and tricksters in the Green Fashion Industry believe it is so. After all, former Greenpeace founder Patrick Moore tells them so, just like Jesus in "The Bible Tells Us So" song shouted out by the religious right as they warn us about gays, and abortion...harsh, but then the five front runners in the Republican race to the Presidency have endorsed nuclear, opposed gays serving in the military, and except for one are against abortion and gay marriage. When will we stop believing the 30 second sound bites fed to us on network TV, when will we take the time to educate ourselves before taking a position on any issue? In our convenience driven society where the need for energy rules the day, the citizens of Yuppieville, USA and their 20-30 something children are content to accept on face value the nuclear industry's huge propaganda campaign to sell them on nuclear energy...where is the disconnect, how can almost 70 percent of America oppose the Iraq War, support bringing our troops home, be against the use of depleted uranium, yet believe nuclear energy is safe, vital, secure and green. Don't you realize it's all the same damn thing? If you look at nuclear, if you look at the entire cycle, you have to accept that DOD (Department of Defense), DOE (Department of Energy) and the NRC (Nuclear Regulatory Commission) are all a part of the same train. There is no commercial nuclear industry without its Siamese twin, the military nuclear industry, the two of them joined forever at the hip. Congressman John Hall in and off the record conversation told one of my anti nuclear friends that wants to close down Indian Point, that we had no idea how tied into the Middle East nuclear power was/is. Hall went on further to explain that his access to documents we could not see truly was opening his eyes, and that shutting down any of America's nuclear reactors was not going to be easy because of the situation in the Middle East. Hall was not just speaking of the quagmire that is Iraq, though it was and is a part of it. You see, our Pentagon needs the commercial nuclear industry, and the infrastructure it takes to power it for its own evil purposes, including vast stockpiles of Depleted Uranium, which is used in numerous weaponry to make armor piercing ammunitions and war heads. Going further, George Bush, our government, our military machine opposes Iran gaining the capability of enriching uranium for a very simple reason...with the capability of enriching said uranium for nuclear reactors, you gain as a part of the waste stream from enrichment operations the byproduct of Depleted Uranium. Oh My God! Iran already has a vast supply of oil, they have already developed long range missiles capable of striking various western societies, and now they are on the brink of having Depleted Uranium. Such a reality might mean America has to negotiate with Iran as equals, heaven forbid. Let them get the BOMB, and we might even have a new super power to contend with, someone to take Russia's seat at the grown ups table. That's one of the big problems with the nuclear cycle...there is no such thing as the peaceful atom, no matter how you try to dress it up. Additionally, anywhere nuclear goes in all of its various forms, death is soon to follow. From its earliest days, even pre-dating the Manhattan Project, the exploration and exploitation of uranium has brought with it horrid deaths, devastating cancers, birth defects and destruction on a level almost unimaginable. Problem is, you have governments, and various assorted private corporate interests trying to hide the ugly truth, trying to convince us that uranium and nuclear energy are safe. Do some homework, explore the hundreds of millions of dollars the DOE has spent on attorneys to fight union workers claims that their illnesses and cancers were caused by their exposure to elevated work place radiation levels. Look just under the surface of the commercial nuclear industry, and you find a trail of death...it is no coincedence that every county within 100 miles of a nuclear facility has elevated cancer rates when compared with counties outside of that 100 mile circle. Look at both wars in the Middle East (Desert Storm, and the Iraq War), and you find our soldiers coming home with strange illnesses, illnesses caused by their overexposure to depleted uranium. Already in Iraq, mothers are giving birth to children with horrible deformities, deformities caused by that same exposure to Depleted Uranium, and where does that Depleted Uranium come from? The production cycle employed to produce fuel for commercial nuclear reactors. McCain, in a nationally televised debate on CNN, boldly lied like no other man before him. Not only did he embrace nuclear as a CO2 free clean source of energy, but he claimed that the Nuclear Navy in over 50 years of operation had never had an accident. Funny, I know of numerous examples of nuclear sea going vessels accidently ramming into other ships, and am aware of at least 37 times (up through 1983) when said nuclear vessels had MAJOR releases of radioactive materials into the environment. I believe we have had at last one nuclear sub sink. As a Senator, as a member of the military, he KNOWS the truth...do we want such a liar as our next president? Why can't he, the other candidates, our president, and even the nuclear industry come out and BE HONEST WITH THE PUBLIC? What is it that is really driving this insane push for a Nuclear Renaissance? What lunacy sees the world wanting to build 2200 new nuclear reactors when the first 437 aging reactors have been such a dismal failure, and killed so many innocent people? There is no bigger myth within the nuclear energy than their claim that nuclear energy and commercial reactors are and environmentally friendly CO2 source of electricity. From the very beginning of the uranium fuel cycle, the massive creation of and dumping of CO2 into our environment begins, as well as a trail of far deadly contaminants. First, you have to get the uranium out of the ground...uranium mining is very equipment intensive, and the large pieces of equipment use MASSIVE amounts of fossil fuels. Further, it takes tons and tons of of ore containing trace amounts of uranium to get enough actual raw uranium to be of any use. This means said materials have to be carted to processing plants...again, said transportion of such vast quanities of these raw start up materials burn up vast amounts of carbon based fuels, adding to nuclear CO2 contributions to Global Warming. Once the materials have been mined, they then must be milled, or crushed. These milling operations are usually fairly close to the mines. Once the materials are crushed, various impurities are removed (creating vast amounts of waste), and the end product of this segment of the processing creates what is known as yellowcake. This yellow cake is then packaged into 55 gallon drums, and is ready...TO BE SHIPPED AGAIN, thus using even more fossil fuels. This yellow cake is about 70 percent pure, but still needs further processing to remain more impurities. A refining facility handles this purification, and then chemically transforms the yellow cake into uranium trioxide, which is now suitable for FURTHER PROCESSING. Think about much CO2 has been pumped into the environment already, and we are still not even close to being done with the process of having fuel that can actually be used to power a nuclear reactor. Depending on the country, and enrichment means to be used, the uranium trioxide goes through even more processing at a conversion plant, where it is transformed into either uranium dioxide or uranium hexafluoride, the feedstock for enriched light water reactor fuel. At this point, the materials are ready...TO BE SHIPPED AGAIN, this time to a fuel fabrication facility. Using Canada as one example...once they have created uranium hexafluride, said materials are sent for fuel fabrication to the United States, France, the U.K., Germany or the Netherlands. Sure is a whole lot of CO2 being created that the commercial nuclear industry does not want to admit too. For over five decades, most fuel rods produced for commercial reactors were fabricated at the Gaseous Diffusion plants in Portsmouth, Ohio and Paducah, Kentucky, with most of that production under the watchful eye of the DOE until 1992 when then President George Bush privatized the facilities and transferred oversight over to the NRC with the signing of the 1992 Energy Policy Act. This is where the nuclear industry's CO2 contributions to Global Warming really sky rocket. Looking just at the Portsmouth Gaseous Diffusion Plants 50 years of operation, you realize the true folly that is nuclear energy. First, this plant is the largest under roof manufacturing facility ever built in its time. Sadly, it was built less than one mile from the Sciota River, less than 20 miles upstream from the Ohio River, and sits atop the largest underground aquifer in the United States of America...BRILLIANT SITING decision! This plant was fueled by nine coal burning energy plants, and used enough electricity each and every day of operation to power all of Los Angeles county for a year. If you do the math, the Portsmouth Gasesous Diffusion Plant burned enough coal, used enough electricity to power all of Los Angeles county for six million, six hundred and sixty one thousand, two hundred and fifty days, or 18, 250 years! America is just over 200 years old folks! Imagine how much CO2 would not be in the atmosphere if it were not for those 9 coal burning power plants running 24 hours a day, all to supply America's nuclear reactors with fuel rods. Even scarier...these figures do not include the CO2 and energy consumptions for the Piketon, Kentucky plant. Factor in the building of the nuclear facilities, and the vast amount of fossil fuels that will be burned in decommissioning, and it is obvious who the major contributor to Global Warming really is. It would be nice if this was the end of nuclear entergy's CO2 contributions to the environment, but it is not. It would be nice if these CO2 emissions were the only contaminants and contributions to Global Warming that nuclear reactors created, but sadly, it is but the tip of the iceberg. The fuel rods as one example still have to be SHIPPED to the reactor sites. Again, additional fossil fuels being burned up, and we have not seen one watt of electrical energy produced as of yet. 1. 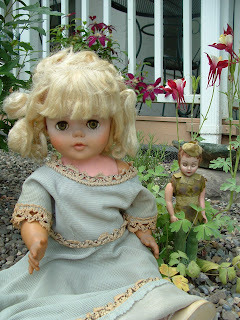 Cathy Garger's doll arrived (very early in the AM), and she is absolutely BEAUTIFUL, so a very special thanks to her. The porcelain face is almost regal, and think once we stain the outfit with a good soak in tea leaves to her a bit of an aged look, she's ready to go. 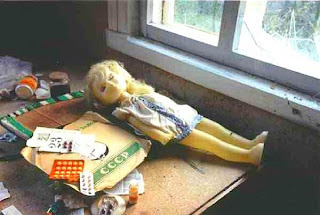 The doll is so elegant, that it is going to be the doll shipped over to Elena in the Ukraine with the hope that she will agree to take it with her on her next motorcycle trip through Chernobyl's fallout zone. 2. Yesterday morning, Remy Chevalier of Rock The Reactors, Susan from Rockland Fuse and myself representing GNB had a very intense meeting with the NRC...more will be written on that Sunday in our GNB Blog. Afterward, Remy and I stopped by our favorite bookstore, The Bruised Apple and after explaining the goals of this site, they were beyond generous in donating a slew of delightfully worn and weary dolls. 3. Buried three dolls in the mulch in my backyard gardens in the hopes of giving them a bit of a different soiled look, and took some incredible photographs that I hope to load onto my hard drive, again on Sunday. 4. Our sub-committee working on a petition to intervene in the Entergy Relicensing process met last night, and things are progressing nicely on that front. 5. Tomorrow will be GONE all day, as we'll be collecting signatures at the Clearwater Festival on a Petition For Rule making that will be filed next week with the NRC. So again, do apologize for the lack of new content this week, but as you can see, we have been very busy, and things are moving forward on numerous fronts. With any luck, can do some serious article posting on these two blogs on Sunday, and am working on one dealing with one of the important issues of the friendly atom cycle, spent uranium, a deplorable byproduct of the uranium fuel process, which is used in the making of armor piercing ammunition. The Indian Point Nuclear Dead Baby World Tour is pleased to announce that one of our dolls will be visiting the Calvert Cliffs reactor area this coming Saturday, June 16th, 2007. Our heart felt thanks to Cathy Garger for making this possible. She spent a portion of last weekend out scouring the countryside, and found two dolls, one of which is in transit here to New York, and the second being taken to Calvert Cliffs. Cathy is a freelance writer, and anti-nuclear activist in her own right, with her primary issue being Depleted Uranium. To familiarize our readers with her work, we are providing links to two of her articles. http://www.axisoflogic.com/cgi-bin/exec/view.pl?archive=151&num=23826 This second article was picked up by the UN Observer, as well as International Report. We are looking forward to her pictures, as well as her own article on how she became involved in this important issue. First, it seems only fair that Andrea speak, since this Indian Point Dead Baby Tour is about them, the dolls, and who it is they represent in this battle. My name is Andrea, I am one of the Indian Point Dead Babies, though I could be representative of every child, any child living anywhere near a nuclear facility, be it a nuclear weapons facility, a nuclear fuel production or nuclear waste storage/disposal facility, or any one of the world's 437 aging and failing Commercial Nuclear Reactors such as Entergy's brittling twin reactors known as Indian Point, which are leaking tritium and strontium 90 into the Hudson River. I represent the children and their toys destroyed when Chernobyl visited the earth, killing tens of thousands immediately, condemning others to a slow and painful death as cancer slowly ate away what was left of them. I am the standard bearer for all the children born with birth defects caused by releases of radioactive contaminants that the NRC falsely claims,"present no immediate risk to human health and the environment." We, the Indian Point Dead Babies are the voice for all those who never had a chance to see life, the radiation causing young Mothers to give birth to stillborn babies, while the NEI (Nuclear Energy Institute) and the nuclear industry one and all proclaim, "Nuclear, the safe, vital, secure and Green energy that will save us all from Global Warming." 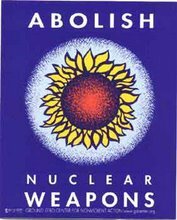 Please world, wake up to the real horror story that is the nuclear legacy, see the lie that is the Nuclear Renaissance before it is too late. If not for yourselves, do it for the children of this world we all share, do it to save their lives, and preserve their future. Speak to the soldiers who have returned home from the desert sands, stricken with strange diseases and ailments caused by their exposure to the depleted uranium that is the Pentagon's ammunition of choice. 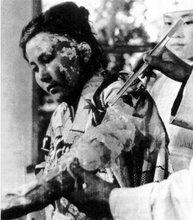 Talk with down winders suffering from the effects of nuclear weapons testing, and hear their truth. Break bread with the union workers who gave their lives and health at the Gaseous Diffusion plants in Portsmouth, Ohio and Piketon, Kentucky, ask them if radiation kills. We have been sold a lie, there is no such beast as the peaceful atom, nuclear kills at every stage of its cycle, from mining the uranium out of the ground, through the billions of years of burial in the ground, its invisible poison finds its way into the human race, a silent black hand of death far worse than any plague. When you embrace, even endorse nuclear energy as a part of the Global Warming solution, you have just signed someone's death sentence, perhaps even your own, or your child's, as radiation is indiscriminate in its lust to steal life, her radioactive nuclides ready to travel the winds, prepared to span the globe looking for the innocents. Small pockets of cancer here, elevated levels of leukemia there, unexplained and unprecedented numbers of stillborns some place else, nuclear is a killer, always on the hunt 24 hours a day, 365 days a year. Ask yourself what price is fair for one community to pay so that you can have your laptop powered with supposedly cheap affordable nuclear energy. Where should we store the waste, perhaps in your back yard, or the yard just down the street from you? Look at Chernobyl, then ask yourself if it really makes sense to grant a NRC licensee a license extension of 20 more years when the nuclear reactor was only designed to operate for a period of 40 years. If the nuclear reactor was in your community, if the tritium and strontium 90 were leaking into your river, if its pipes and valves were failing just down the street from your house, would you feel safe, would you embrace having it relicensed for 20 more years? If not, then why are you fine with it being relicensed to operate in my community for 20 more years? Where are you in our hour of need? Where is the outraged public coming to our defense, where is the public in standing up for the lives of our community's children? I am Andrea, and I represent all those who have no voice, in the hopes that you, the world will hear our silent screams. I am proud to be one of the Nuclear Dead Babies in the Indian Point Dead Baby World Tour. 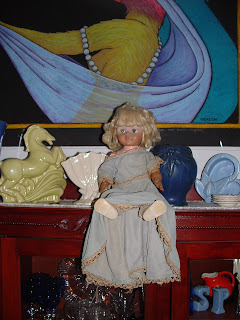 We found this beautiful doll in a now closed antique store here in New York...as luck would have it, we happened to come along on the very weekend they were having a tag sale to clear things out. The second we set eyes on her, we knew she was meant to be the first nuclear dead baby in our Indian Point Dead Baby World Tour. Her dirty face and arms, the soiled yet still beautiful dress with the hand crochetted neckline and hems were calling to us, beseeching us to give her a home. Right now she sits comfortably on the bookshelf in my office, her eyes wide open, her lips poised to speech of the things she has seen. We were on our way out of town when we met her, so the decision made, she joined us on our trip to upstate New York to visit friends. Next Thursday she will travel with me to a diner close to our home to meet five employees of the NRC (Nuclear Regulatory Commission) her silent eyes speaking volumes as we discuss Indian Point's license renewal application over morning coffee. This coming Saturday she'll be at the Clearwater Festival, delivering her silent message to any who care to hear. Below are some of the first pictures we snapped of her. Andrea with one of her little friends. Sponsors needed for symbolic Anti-Nuclear Dead Babies in our Indian Point Dead Baby World Tour. For a donation of $100.00 we will prepare, and ship one Indian Point Anti-Nuclear Dead Baby to you as his/her first stop in their travels. In addition to the purchase of dolls and materials, there are film and promotion costs associated with this campaign. If you would like a Nuclear Dead Baby, but cannot handle the full $100 donation, please send us a letter along with the amount that you are able to contribute, and we will do our best to ship one out to you. Take pictures of the doll, in front of environmentally dangerous nuclear sites if you can, shoot a video, and email us back the jpeg images or link to your YouTube Video along with your own story of why you are participating in this important Direct Action Campaign, and we will get it all posted onto our blog as one by one we expose the truth of Nuclear Energy (Both military and commercial as they are entwined). If you would like a Nuclear Dead Baby, but cannot afford a donation, please send us a letter, and we will do our best to ship one out to you, or find a doll, and we will get it registered as one of our dolls free of charge to you. When you have finished, pass the doll along to another willing participant, ship it to friends in other states or countries, or kindly send the doll back to us, and we will send it out to another Direct Action Activist. PS...we are also accepting donations of old and/or tattered dolls. So far, the Indian Point Dead Baby World Tour is meeting with a tremendous amount of positive feedback as we prepare to launch, and fine tune the message we want to get out to the world regarding the dangers of nuclear power, enriched uranium, and the entire nuclear waste stream including spent fuel rods, and depleted uranium. 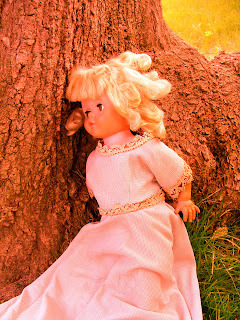 We already have four people that want dolls, are ready to do a photographic spread for our blog. The dolls in fact will start right off being well traveled, as we have one going to Florida, and a brilliant photographer has offered to take one with him when he makes his next trip to Germany. There is an antique store having a huge sale this weekend, and I'll be going shopping to secure our first dolls, and we have one person who has committed to send us a doll, so we hope by next weekend to have our Dead Babies making their first tentative steps into the world as they represent the lives Nuclear Energy denies many children who are never born. One of the things we have decided to refine, is we want to feature articles whenever possible to go with the photographs...articles about people living in danger zones around various nuclear facilities, both here in American and abroad. Human interest stories who attribute family deaths and/or cancers to exposure to radiation, including soldiers back from Iraq who have been exposed to the ills associated with depleted uranium. Nuclear Energy is the invisible killer, as it routinely emits radiation into our air and water, harming the health of those (particularly children and the elderly) who live even many miles away. Contrary to what the NRC, DOE, DOD, NEI and the nuclear industry would have us believe, it is not a GREEN energy source, and will not solve Global Warming. "Nuclear radiation kills quietly... The tragic truth is it may take a large-scale accident to get through to the daily media and much of the public." Entergy's aging, failing Indian Point reactors 2 and 3 are trying to get 20 year license renewals while leaking tritium and strontium into the Hudson River. These radioactive contaminants known to cause cancer also elevate birth defects, and place women at a greatly increased risk of having stillborn babies. 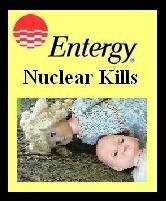 To bring attention to this issue, to oppose Entergy's attempts to relicense these dangerous reactors, this blog will be sending symbolic dead babies (dolls) out on a world tour by leaving them at various locations. If you find one of these dolls, take pictures of them in unique locations, take them with you on vacation, show them the life that Entergy's Indian Point would deny them, even shoot a video and upload it onto YouTube. Send jpeg files of your dead baby photos, or the link to your YouTube video to ipdeadbabytour@aol.com so that we can create and online Indian Point Dead Baby World Tour here on this blog in the hopes of waking up America to the very real danger of a Chernobyl right here in America as the NRC (Nuclear Regulatory Commission) wrongfully rubber stamps the license renewal applications of America's 104 aging degradated reactors for another 20 years. We are hoping to have at least 40 Dead Babies (dolls) traveling around the world by the fall of 2007, and need your help. If you would like to donate a doll to this project, or make a donation, please email ipdeadbabytour@aol.com and we will provide you with a address. Dolls can be male or female, and must have a full set of cloths to wear...passports are not required. "Switching from coal to nukes is like giving up smoking and taking up crack." Dan Becker, director of the Sierra Club's global warming program on April 9, 2007 in the Los Angeles Times. Indian Point Dead Baby World Tour thanks Elena from the Ukraine. 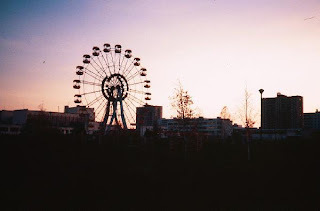 Her pictures exposing the sadness and truth that is the aftermath of Chernobyl has been a major inspiration in the launch of this direct action Anti Nuclear Campaign...we are planning on sending her one of our Dead Baby dolls in the hopes she will take it along on her next ride through the area of devastation.